American political parties are born and developed in the social and historical background of the United States and operate in the political system of the United States. This paper mainly USES the analytical method of combining theory and demonstration to explore the characteristics of American political parties from the aspects of party pattern, party discipline, party members, party functions, party-mass relations, party-government relations, inter-party relations and party values. The characteristics of American political parties can be concluded from the analysis: multi-party coexistence, two-party pattern; Loose identification of party members, rapid change; Loose party discipline; Members of highly voluntary political party organizations; The main function of a political party is to run for office; The relation between the party and the masses takes the election as the link; Relatively independent and separate party-government relations; Relations between parties that compete, oppose and are not equal; Pragmatic party value orientation. 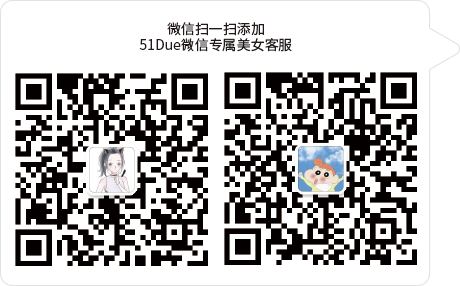 However, Chinese political parties should treat the characteristics of American political parties dialectically rather than blindly copy and accept them completely. In the United States, although many politicians such as before the founding of Washington, Jefferson and Madison and John Adams, the opposition party politics, the claims will be party excluded from the bourgeois political life in the United States, but after the founding of the United States, due to the restriction of the bourgeois system of private ownership is a basic, inevitably produced different asset class interests conflicts of interest and political differences, also makes the interests of the bourgeoisie within different factions. With the development of American politics, these factions evolved into modern political parties in the United States in the late 18th century. After the creation of modern political parties in the United States, due to the private ownership economy, the federal government, separation of powers, partition system, the two-party system, local autonomy tradition, the mature civil society, the integration of multi-ethnic immigration and American bourgeoisie of the so-called "freedom, democracy, equality," the influence of a variety of ideological culture, makes the United States parties gradually formed a unique characteristics corresponding to the national conditions. This paper will focus on analyzing the unique characteristics of American political parties. In the political life of American political parties, there are many political parties, such as republican party, Democratic Party, populist party, progressive party, social labor party, American socialist party, liberal soil party, green party, temperance party, tea party and so on. However, the status and functions of the above parties in American political life are not the same, but there are obvious differences. 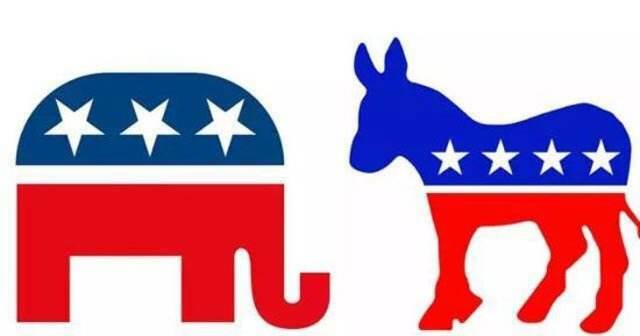 Among republicans and Democrats is the main political parties in the political parties in the United States, the dominant political parties in the United States life, play the main function of the party, this mainly displays in: the two-party system in the United States in political life, republicans and Democrats came to power in turn, long-term firmly grasp and control the administrative heads of parliamentary seats, etc. For example, among the 32 presidents from 1853 to 2010, republicans held 20 and Democrats held 12. In the 110th congress, republicans and Democrats hold 49 seats in the 100-seat senate, and 201 and 232 seats in the 435-seat house. In the 111th congress, republicans and Democrats hold 43 and 57 seats in the 100-seat senate, and 178 and 256 seats in the 435-seat house of representatives. While the small parties other than the republican party and the Democratic Party play an important political role and play an important political function in the political life of American political parties. Mixing functions in two main political parties, have strong impact to them, forcing their policy can't go to extremes to the middle, however, these parties are just some of the party's political life, after all, the mainstream of smaller parties, not only few, small size, and strength, the strength is very weak, cannot form a peer in the fight against the republican and democratic Chambers power, so, their political parties in the United States in the life in a secondary position, play a minor role, played a very limited function of the party. Identification of U.S. party members is lax. Freedom in general, party members to join the party, such as a citizen to identified as a party member, its application is very simple, almost do not need the formalities to join the party, just in campaign registration show his party intention, claimed that once he belongs to which party, and vote for the party candidate, can be identified with the party membership. In an election literacy quiz in Atlanta, the electoral authority responded to the question "how do I sign up for a political party? American membership is changing fast. Generally speaking, if an American citizen wants to change his membership status from one party member to another party member, he shall not go through any formalities of party transfer, as long as he is registered as another party and votes for the other party at the time of election registration. If someone is now a republican, but in the next election registration as long as he registered as a democrat and voted for the Democratic Party, then his membership will immediately become a democrat from a republican identity; Still have kind of situation is: when a citizen, in a campaign, beginning may claim, registered as a republican or democrat, has the republican or Democratic Party membership temporarily, but before a formal vote, but he changed his mind, to register as democratic or republican party member, or did not register again but in the actual votes to the democratic or republican, this also is regarded as the civic party membership change, that is, from the republican or democratic identity change rapidly as Democrats or republicans identity. As William bora, a former us senator, once said: "a man who believes in every policy advocated by the Democrats, who believes in free trade, who believes in unconditional membership in the league of nations, who believes in state rights, will immediately become a republican if he supports the republican primary." Firstly, party discipline in the United States is loose, which is reflected in the following aspects. Firstly, when voting is carried out in the government, the voting behavior of party members in the government is not strictly controlled by their own party. Second, when the candidates, they vote is highly free and can be either all the votes cast for their party candidate, can be selectively vote, such as in the governor's race, he may vote for the republican candidate, but in the state legislature or the parliamentary elections in some places, and he could instead voted for the democratic candidate, and vice versa, no interference; Three is the party platform without fixed basic platform, no unified party constitution and rules, there is no centralized and unified national organization, strong, no unified organization principles and the strict management regulations, as professor Cao Shaolian said, American political parties are "irrelevant party", "if if no party discipline". Therefore, party members should not abide by their own party discipline, nor should there be rewards or punishments for party discipline. Moreover, party members do not need to pay any party fees in the first place, do not have to work for the party, and rarely participate in discussions and activities organized by political parties. Second, America's political parties are loosely organised. The United States is a federal country, in which power is divided at all levels of government, from the central to the local. States and counties have a high degree of local autonomy, and the national government has no administrative power over the state governments or the state governments over the county governments. It is on the basis of such decentralized administrative districts that the United States has set up various levels of electoral districts, and the two parties have established their own party organizations at all levels on the basis of various types of electoral districts. As electoral districts at all levels conduct elections independently, party organizations at all levels have to work independently, which leads to the formation of an organizational system of independent management of the two parties. American scholars point out: "why have our political parties been so fragmented? The main reason is that the constitution of our federal system determines our political system, which in turn determines the structure of government. Political parties are a prime example of this circular relationship. They are often organized around electing and holding public office. Because our federal system is based on the national - state - local system for elections and the establishment of officials, and our political parties are organized in the same system. "The bipartisan organizations are the product of America's unique political system. As long as the established principles of state sovereignty, federalism, local custom, legislative autonomy, regional autonomy, and decentralization are generally maintained, it will be difficult to establish strong, highly centralized party organizations in the United States. Federalism in the United States establishes elections and offices on the basis of national -- state -- local -- grassroots constituencies. Therefore, American political parties also establish four levels of organizational structures on the same basis: the party's national congress and the national committee; State party conventions and state committees; Local party congresses and local committees; The party's primary constituency congress and constituency committee. From the above four levels of organizational structure, the form of American political party organization shows the "pyramid" structure. But essentially the party organization is inverted pyramid structure, like a multi-layer cake of each layer can be coming into its own as a political scientist, said: "although the party organization is a composed of party committees at all levels' pyramid ', but this does not mean that the pyramid is lower several level by the all levels of command and control", "national organization of political parties' floating 'on the state and local political quicksand. This is because in reality, the party is not a centralized management system, but the layers of decentralized management system, the relationship of between the party organizations at all levels is very loose, no subordinate relationship between the superior and the subordinate to each other or the relationship between the leadership and the leadership, there is no a top-down power chains, but each have their own independent space, has the responsibility and authority of the belongs to own, entirely within the confines of their functions and powers is coming into its own, more fragmented, not controlled by the party organization at the next higher level of intervention, the party organization at the next higher level in fact also have no right to direct orders to the next level party organizations. Even national party committee, but only by assigning the party's activities and can send delegates to the national congress, the state, local and district party organizations at the grass-roots level to exert certain influence, not the state, local and district party organizations at the grass-roots level direct order, not, local involvement and intervention of the state, district party organizations at the grass-roots level of daily affairs, can't and have no right to exempt from state and local, grassroots constituency party organization to select the position of party officials and party members. Based on the above understanding, it can be said that there is almost no national political party in the United States, but only a coalition of state and local political parties, and a loose alliance between state party organizations and local organizations at all levels. As some American scholars said, "the national political parties in our country are only a loose alliance of the political parties in the autonomous states in organization. In 1841, there were 26 state party systems; now there are 50 state party systems. "The national political parties in the United States are the loose aggregation of state parties, and the state parties are an unfixed combination of individuals, groups and local organizations"; "America actually has 50 independent republicans and 50 independent Democrats"; "It's not so much a one-party system as a 50-state system." Before the 1970 s, the United States election party organization has a strong organization and control function, and party organizations are often described as a "party machines", whose members are basically some full-time staff member of the party, but the reform of the political party in the 1970 s not only weakened the party organization "party machine" image, but also make the citizen of the United States is generally accepted that attend the party organizations to strengthen their communication with others and communication, can provide for them to participate in public life and public communication platform, can be in the future for them in politics, get some government post to create a condition, Therefore, American citizens are more and more willing to participate in political party organizations, and their volunteer activities are more and more frequent. Therefore, more and more part-time volunteers are employed in political party organizations. For example, scholar li luqu pointed out that the leaders and staff of grassroots party organizations in the United States are mostly temporary volunteers. Surveys also show that most local party organizations in the United States are made up of volunteers, including their chairmen and committees. For example, in 1995, the republican organization in Florida included several full-time staff and a group of part-time volunteers, and the democratic organization in Florida included four volunteers. Zhou shu, an academic, said that American political parties can operate successfully without a large number of full-time staff mainly because they attract many party activists who volunteer for them. A five-member delegation led by wang yicheng, director of the institute of political science at the Chinese academy of social sciences, visited the republican headquarters in talbot county, Maryland. The chairman of the executive committee introduced himself by saying that he was the boss of his own company and it was his duty to work for the party. He spends two to three hours a week doing party work, 30 hours a week during the election, and the rest of the time flying around and doing business in his private company.